AC Milan will reportedly continue to target Lazio midfielder Sergej Milinkovic-Savic this summer and have received a boost with his value dropping. 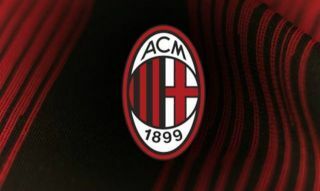 The Rossoneri continue to battle for a top-four finish in Serie A this season, with their win over Sassuolo this past weekend moving them into third place. They’re now four points above Roma in the all-important race for Champions League qualification, and that could have a major impact on their summer transfer window budget and the calibre of players that they are able to attract to the San Siro. Naturally, that will be the primary focus in the coming months, but as reported by MilanNews.it, via the paper edition of Tuttosport, it’s claimed Milinkovic-Savic remains their ideal marquee summer signing despite having failed to sign him last year. Importantly, it’s added that his valuation has dropped since last summer, as it’s claimed that he’s gone from a €120m price-tag, to now being valued at €80m by Lazio. That is arguably in large part down to the fact that the 24-year-old has only managed to score four goals and provide two assists in 30 appearances so far this season, which is a significant drop when compared to his tallies and influence from last season. With that in mind, Lazio will surely have to lower their staggering demands for the Serbian international, although it remains to be seen if €80m is even a fee that Milan are willing, and capable, of matching. The midfield does remain a problem for coach Gennaro Gattuso though, with a lack of quality depth perhaps becoming more of an issue if they return to the Champions League and have to compete on multiple fronts. It has improved though, with the likes of Giacomo Bonaventura and Lucas Biglia now arguably becoming back-up options given the impact Lucas Paqueta and Tiemoue Bakayoko have made this season.